Perth, July 3, 2018 AEST (ABN Newswire) - Canadian focused explorer and developer Ardiden Limited ("ADV" or "the Company") ( ASX:ADV) is pleased to announce the appointment of experienced exploration geologist and pegmatite expert Mr Peter Spitalny as a Non-Executive Director. Mr Spitalny stated that he was looking forward to joining the Board of Ardiden and utilising his vast experience of knowledge within the lithium sector to help progress the Seymour Lake Lithium Project and build upon the solid foundations that have already been set for the project, whilst assisting Ardiden in the overall advancement of the diversified project portfolio in Ontario, Canada. "I'm extremely excited to join the Ardiden team and look forward to exploring the lithium prospects within the Seymour Lake Lithium Project which are likely to be larger and more abundant than outcrops suggest. I believe that Seymour Lake Lithium Project has significant potential to become a supplier of high-quality spodumene concentrate, and I am looking forward to helping the Ardiden team realise this goal." 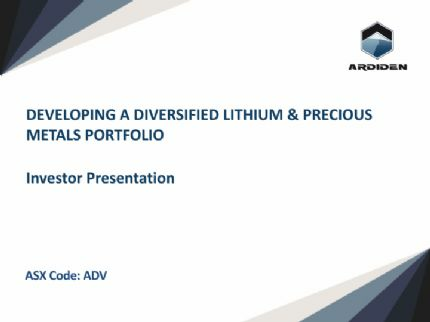 Neil Hackett, Non-Executive Chairman of Ardiden said the addition of Mr Spitalny to the Board is another positive step forward in the company's strategic plan of progressing the Seymour Lake Lithium Project towards production and the advancement of Ardiden's project portfolio in Canada. "I am delighted to welcome the highly-experienced Mr Spitalny to the Ardiden Board. We are looking forward to working with Peter in progressing our flagship Seymour Lake Lithium Project and growing the project in size and scale. With Peter's considerable lithium experience, we continue our strategic focus on building Seymour Lake towards a project that can become a high-quality lithium supplier to both the North American and Asia markets." 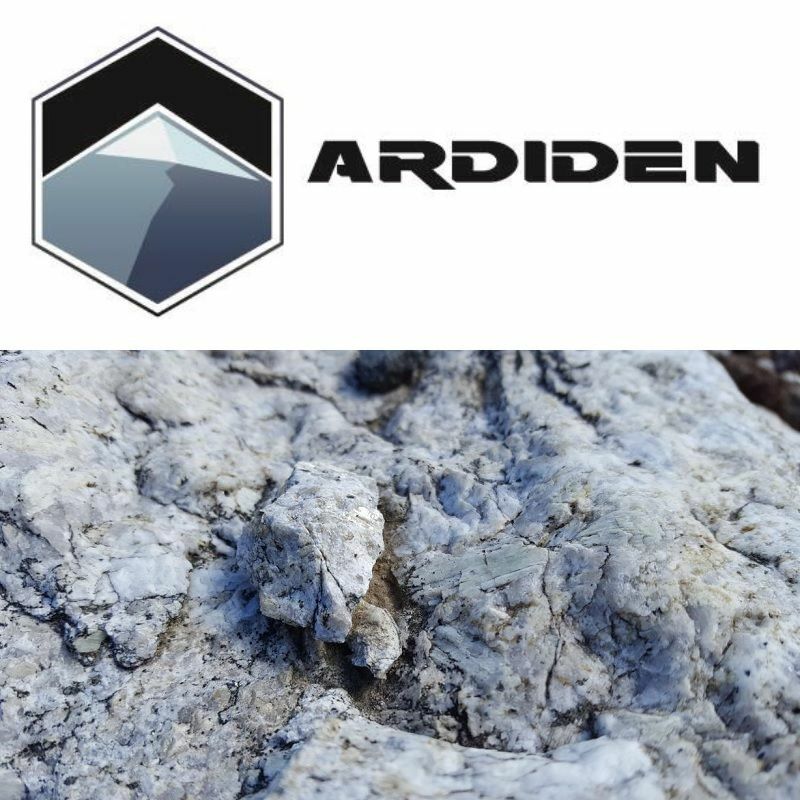 Ardiden Limited (ASX:ADV) is an emerging international diversified exploration and development company possessing a mature multi-element asset portfolio, with a near term development pipeline, focused quality projects located in the established mining jurisdiction of Ontario, Canada.